THE COMPANION: Amr bin Jamuh RA wishes for martyr in Uhud. Amr bin Jamuh RA wishes for martyr in Uhud. Paradise and his lame leg is set right." During the ]ahiliyyah days, or the Days of Ignorance, when Madinah was still called Yathrib, the inhabitants of this city used to worship many idols. 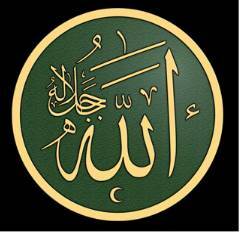 Islam had not yet come to Yathrib and its people thought that these idols were partners with Allah SWT. They made statues of these "gods" and people liked to have these statues in their homes. After a time, they began to worship the statues themselves. They believed them to have magical powers and they believed that they could hear and sometimes even speak.One of the people who believed in idols was a man named 'Amr ibn al-Iarnuh, He was very serious about his belief. His idol, which was named Manat, was made of the most expensive wood of the day. It was kept in a special room which was only for the purpose of its worship. He took very good care of it, perfuming it with the most exquisite scents, rubbing it with oils and burning incense before it. He used to make sacrifices to it and seek its help at difficult moments in his life. Now 'Amr was one of the leaders of Yathrib in the time of jahiliyyah. He became the chief of Banu Salamah. He was also one of the most generous and valiant men of the city. He was a kind and responsible person. But he couldn't bear any criticism of his idol or of his love for it. He went on worshipping it most of his life. When he was already an old man, over sixty, with white hair and a lame foot, Islam started penetrating the homes of Yathrib. One after the other, its citizens embraced Islam through the first ambassador, Mus'ab ibn 'Umair RA. The Perseverance in Seeking Martyrdom - Ibn Al Jamuh. 'Amr's three sons, Mu'awwadh, Mu'adh and Khallad became Muslims at Mus'ab's hand, as did a friend of theirs named Mu'adh ibn Jaball'RA. 'Amr's son Mu'adh ~ was even one of those who went to take the hand of Rasulullah SAW at the second covenant of al-Aqabah. Not only had 'Amr's sonsaccepted Islam; even his wife Hind RA had become a Muslim. But 'Amr did not know about all of this. Hind ~ saw that Islam had won over the people of Yathrib, and that only her husband and a few others were left unconvinced. She loved and respected her husband very much and feared that he might die in a state of Kufr (unbelief) and end up in the Fire. She and her three sons were very worried about him. At the same time, 'Amr was afraid that his children would abandon their ancestors' religion to follow the teachings of Mus'ab ibn 'Umair RA. Mus'ab RA, was so convincing that he had, within a short span of time, persuaded a lot of people to turn away from their old religion to the faith of the Prophet SAW. He was determined to keep his family worshipping in the old way, which he thought was best. "I will. But concerning this man, can't you just hear what your son Mu'adh has to say?" 'Amr was very upset, and said in a loud voice, "Has Mu'adh turned away from our religion without talking things over with me?!" The woman felt sad for her husband, who was so sincere, and said, "Not at all. He has only attended some of his meetings and memorized some of his sayings." 'Amr told her to bring their son at once. When he came, 'Amr asked him to recite some of the sayings of the man from Makkah. His son, very happy that at least his father was ready to discuss the subject, recited al-Fatihah. After he had heard it, 'Amr was truly impressed. "How perfect these words are and how beautiful! Is everything that he says as good as this?" Mu'adh ~ replied, "Yes, Father. It would be wonderful if you would follow him. All of your family already has!" The old man was silent. After a while he said, "I must consult our goddess Manat and see what she says." The son asked, "What can Manat say, Father? It is only a piece of wood. It can't think, it can't speak...it can't do anything." Because he sensed disrespect in his son, the old man repeated with anger, "I said I shall consult her! "So 'Amr went to the idol of Manat. It was the tradition of the people of Yathrib that when they wanted the advice of the idol, they used to place a certain woman behind a curtain that was in back of the idol. She was supposed to go into a trance and then say what the idol would inspire her to say. 'Amr called for this woman and then prepared to stand before his idol. What he did not know was that his wife had met the woman outside and drove her away from the house. 'Amr stood before his idol on his lame foot. After praising it he said, "0 Manat, you surely know that this man who came from Makkah is your enemy. He came to turn us away from you. I don't want to follow him without consulting you, although his sayings are beautiful. So advise me what to do." But Manat did not answer. So 'Amr continued to talk and to ask questions. No reply came. At last he decided to let the idol wait for a few days. Perhaps it was angry. He thought he would put off any decision until later. 'Amr's sons knew how attached their father was to Manat. It was like a part of him. They didn't want to hurt their respected father, who was indeed a very good man. But they knew that his soul wasat stake. They realized that the idol's power over him was shaken, and that they might be able to take it away by force and thus open his path to Islam. The Limping Martyr of Uhud. 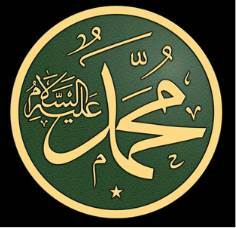 By this time, Rasulullah SAW had come to Yathrib and they felt even stronger in their convictions. 50 they decided to act. Being young men, they thought of a very funny solution. 'Amr's sons and their friend Mu'adh ibn Jabal RA came late at night to the special room where the idol was kept. They were very quiet so as not to wake anybody. They took the idol Manat and threw it into the sewage pit belonging to their tribe, Banu 5alamah. They then hurried back home without being seen. They went to sleep, looking forward to what might happen. The next morning, 'Amr went to give morning greetings to his idol, but he found it missing. He asked who had attacked his idol by night but nobody answered. He searched for it everywhere, indoors, outdoors, shouting and threatening, until at last he found it lying face down in the filthy sewage pit. He cleaned the idol, purified and perfumed it lovingly, then put it back in its place and said, "Truly, if I only knew who did this to you, I would beat him very severely!" The next night the young men crept into thehouse and took Manat again, and again the next morning the old man searched for it and found it in the dirty hole and cleaned it. The young men kept doing so every night until 'Arm got really angry. He then hung a sword around the idol's neck and said, "0 Manat, I don't know who is doing this to you but if you have any power, defend yourself! Here is a sword for you!" And he went to sleep. When the sons and their friend were sure that the father was asleep, they took the sword off the idol's neck. Then they tied the idol with a rope to a dead dog. They threw them both into the dirty pit. In the morning, the old man found his idol lying face down, tied to a dead dog in the pit. It was without the sword. This time he left it where it lay and cursed it, saying, "You cannot even defend yourself! How can you be a god?! You are nothing but a piece of wood." Later that day he accepted Islam. place. How wretched was thatplace! have been there still, upside down. sent to the darkness ofthe grave. When 'Amr ~ tasted the sweetness of Islam, he regretted very much the time he had wasted in idolatry. He went, full of enthusiasm, and placed his body, his soul, his money and his sons at the service of Allah SWT and His Messenger SAW; Before long, 'Amr RA saw his sons preparing themselves to confront the enemies of Islam, looking forward to obtaining martyrdom in the Battle of uhud. Seeing this, 'Amr's heart was on fire to join them, and he decided to go with them on Jihad under the leadership of Rasulullah SAW. But the young men were against this. Not only was he too old but he was also crippled with a lame foot. They told him that surely Allah SWT would excuse him for his age and his lameness. Why would he take this burden on himself when Allah SWT had exempted him? Out of their fear for his life,they continued arguing with him. However, their father would not listen to them at all. 'Arm's sons went to Rasulullah SAW and told him the situation. The Prophet SAW said they could explain to their father that due to his age and condition, he was not obligated to perform jihad. The young men said that they had done their best to explain this to their father, but he wouldn't listen. Rasulullah SAW then asked them to bring their father to him, so that he might explain that he need not fight, and that hopefully Allah c;l~ would reward his intention. 'Amr ~, determined to stand by his decision, went to the Prophet SAW, complaining, "0 Rasulullah, my sons want to keep me away from the source of Goodness, arguing that I am crippled. By Allah, I hope to step into jannah with my lame foot! For the sake of Allah SWT, allow me to accompany you!" 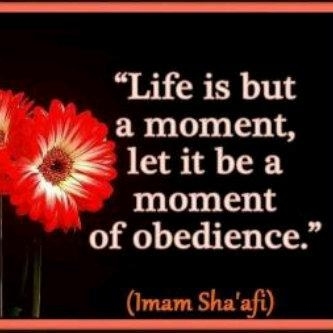 Rasulullah SAW said to the sons, "Let him go. Maybe Allah will grant him martyrdom." And they obeyed. Joyfully, the venerable old man returned to his home and prepared for battle. When the time came to go out, 'Arm ~ said a last goodbye to his wife. Then he turned towards the Qiblah, raised his hands and said, "0 Allah, bless me with martyrdom; do not send me back to my family with my hopes dashed!" Then he took offwith his three sons and a large number of his people, the Banu Salamah. The battle raged at the foot of Mount 'Uhud and, after some time, it turned against the Muslims. Many people fled in fear and panic. But 'Arm RA was seen in the front ranks, jumping on his healthy foot and shouting, "I desire Paradise, I desire Paradise!" His son Khallad RA was behind him. Both father and son remained fighting until they fell in the battlefield, taking the rank of martyr, Shahid, only a few minutes apart. In this battle, 'Arm's brother-in-law was also martyred. When Hind RA received the news of the martyrdom of her husband, her son and her brother, she first asked after the welfare of the Prophet SAW is, When they told her he was well, she went to him and said, "If you are safe, all calamities are reduced to nothing." Then she had all three bodies of her family members placed on a camel, and she began to direct it towards Madinah. On the way, she met one of the wives of Rasulullah SAW is, 'A'ishah RA, who was going with other women to look after the Prophet SAW is. Hind RA was able to tell her that Rasulullah is was alive and not severely injured. Then she told her that here on the camel were the bodies of her husband, son and brother who had all been martyred in the battle.At that instant, the camel, as if it had heard her, sat down and would not budge. No matter what they did, it would not move. 'A'ishah RA thought perhaps the camel was overloaded, but Hind RA explained that it was used to carrying more than this. At last they gave up, raised the camel and turned toward 'Uhud. The camel stood and walked willingly. Hind RA carried all the three bodies to Rasulullah SAW. He asked her whether any of them had said anything while leaving the house. "Leave them with their blood and wounds - I am their witness. Any Muslim wounded for the sake of Allah SWT will come on the Day of Judgment with his blood running, its color like saffron (deep gold) and its smell like musk (the best of scents)." 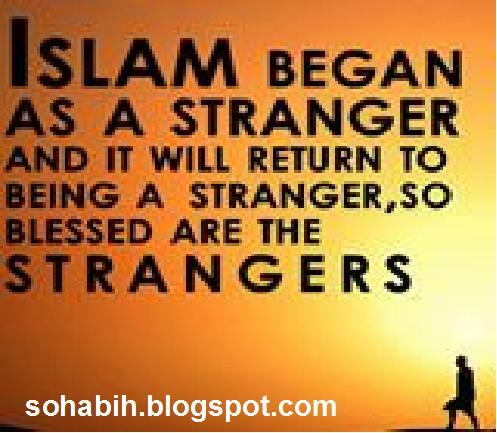 He added,"Bury 'Amr ibn al-Iamuh RA with 'Abdullah ibn 'Amr RA as they were sincere friends." This is why the camel turned around. It is said that six months later, 'Abdullah ibn 'Amr's RA son excavated the grave to shift his father's body to some other place. The bodies of both the friends were found as fresh as the day they were buried. Look at Hadhrat ‘Amr’s desire to die in the path of Allah . It was their love and devotion for Allah and his Nabi SAW that led the Sahaabah to the height of success. Even after his death, ‘Amr wanted to remain in the battle-field and therefore the camel refused to take his body back to Madinah. May Allah SWT bless 'Amr ibn al-jamuh RA, his family and his friends, martyrs of Uhud. May their graves be illuminated with light of Paradise.